Much of my early life was spent in Mexico where I was born. 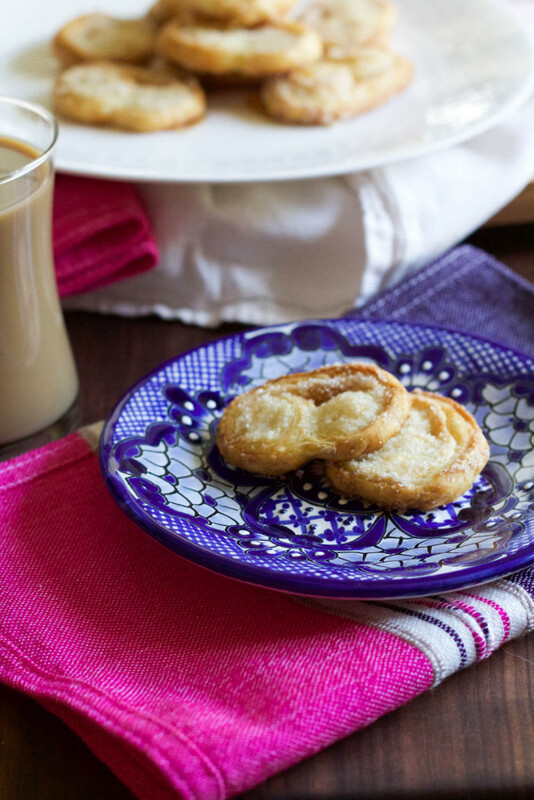 Pan dulce, Mexican sweet bread or hojaldre, is a treat that is often enjoyed in the evening in place of dinner. Traditionally you would eat a large lunch around one in the afternoon, and a small meal at night called, merienda. A typical small meal would be a toasted ham and cheese sandwich, pan dulce, oreja, or quesadilla. Simple evening goodness. When I was old enough I had a cafe con leche, coffee with milk, which made it all the better. My grandmother, Esperanza, we called her Pelancha, was a major sweet fan. 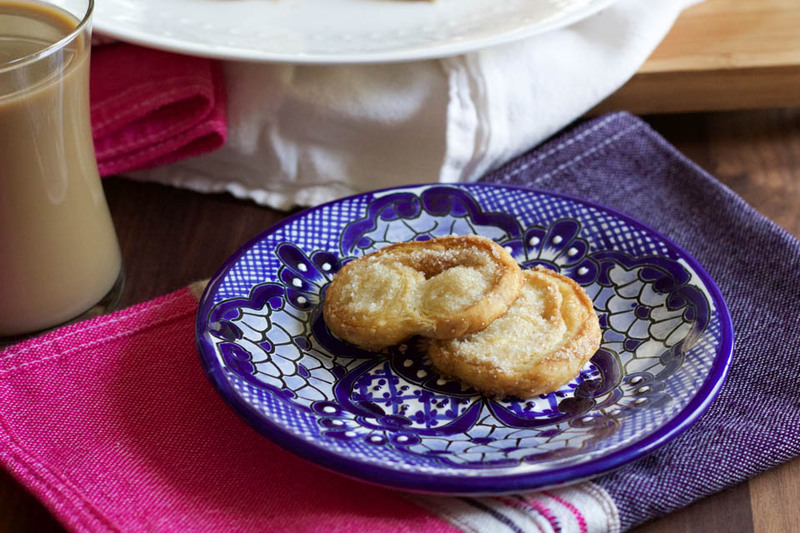 She lived until she was one hundred years old, with most of her evenings enjoying a Mexican sweet bread or Oreja. Palmiers are called Orejas in Spanish. Orejas means Ears, and they kinda look like ears right?!! Because Pelancha had a sweet tooth, my Mama did as well, and my aunt became a baker, and then there is me as well. Sweets runs in the family! It’s no surprise that I met Brian and Orejas are his favorite. It’s a very simple treat when made with puff pastry. Making these from scratch is a nice treat, and using puff pastry to make this even easier is a great way to skip the tedious, albeit rewarding, endeavor of puff pastry. These are best enjoyed with an espresso or coffee with a touch of milk. 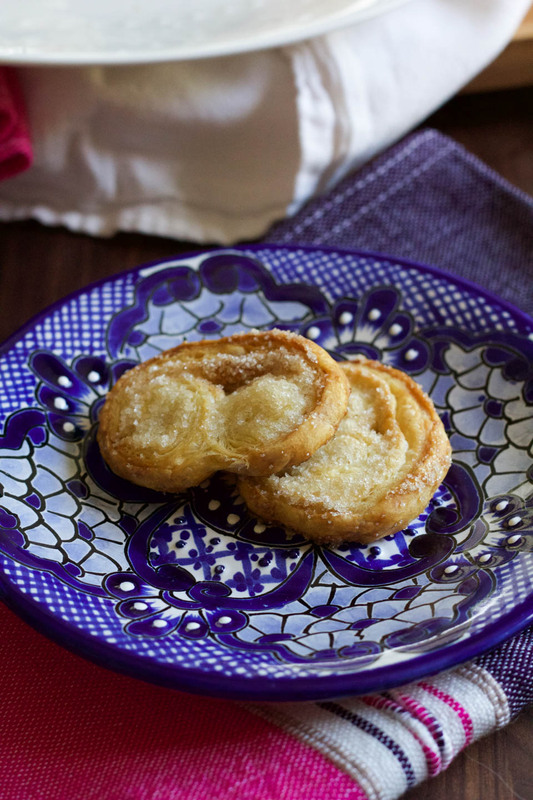 The traditional flavor of the oreja is simply cane sugar. In Mexico, cane sugar is what is widely used. 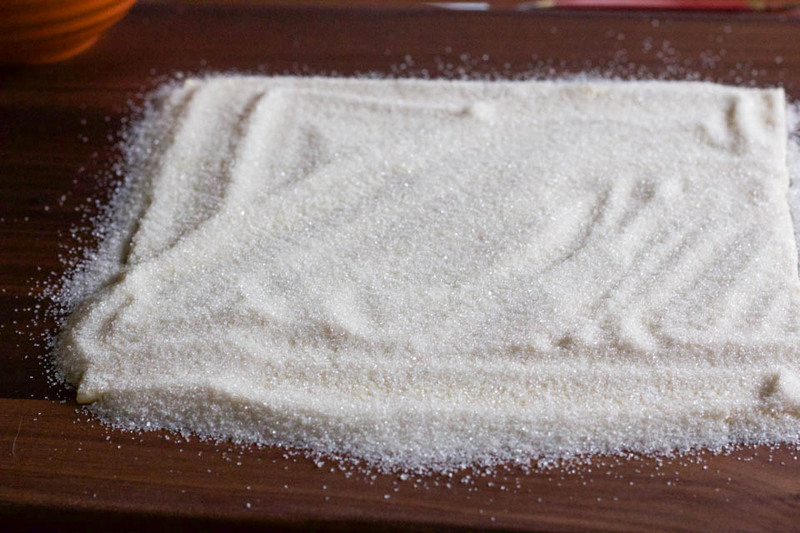 Until recently, white sugar is very difficult to find. The cool thing with these palmiers, you can make them different flavors. I’ve used jams, fresh fruit, cinnamon and sugar, and really whatever I’m in the mood to make. In Mexico, they take their hojaldre, puff pastry, very seriously. This is the easy way to an oreja. Hojaldre is made by folding butter and flour together in intricate layers by the laminating dough process. It is very similar to make croissants, except there are many more layers. Hence the puffiness and crisp nature of the finished product. Check out ABC’S KATU Channel 2’s AM Northwest. TV segment on Wednesday April 15 at 9-10am where I’ll be sharing how to make these sweet treats with different flavors on one puff pastry! Place oven rack in center of oven and preheat to 400 degrees. Prepare a sheet pan lined with parchment paper. 1. 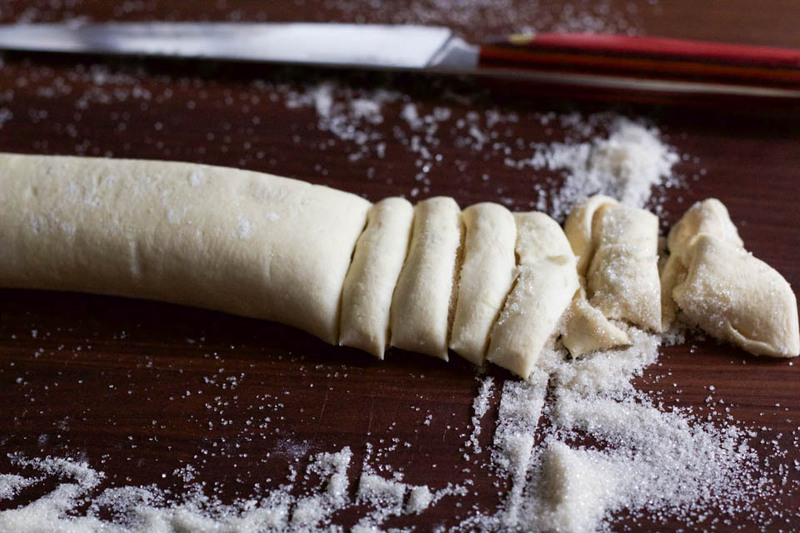 Lay the puff pastry dough on a cutting board, spread sugar evenly on pastry. Take a rolling pin and medium pressure, press sugar into the pastry. note: if you chose to go with jam, or goat cheese, spread evenly all over puff pastry dough all the way to the edges. 2. Roll over one side in, roll in the opposite side in, do this again on each side. Roll one side over onto the other, like closing a book. Take a sharp knife and slice 1/2 in slices. Place cut side down on sheet pan. Place in oven for 5-7 minutes or until crispy golden brown. 3. Remove and allow to cool on a cooling rack for a few minutes before enjoying. Store leftovers in an airtight container for up to three days. Totally my thoughts, thank you so much! I hope you like them :).